If you’re in your early wedding tent planning process, you may wonder what size tent i need for my guests and want a rough price quote for it. There are some things you need to consider. Our product have a wide range span width from 3m to 80m and multiple designs and shapes, including A shape, high peak conversions, dome shapes, curved shape, polygon, etc. Whatever the size, complexity and nature of the venue, you can always customize the most suitable wedding tent size and shape. 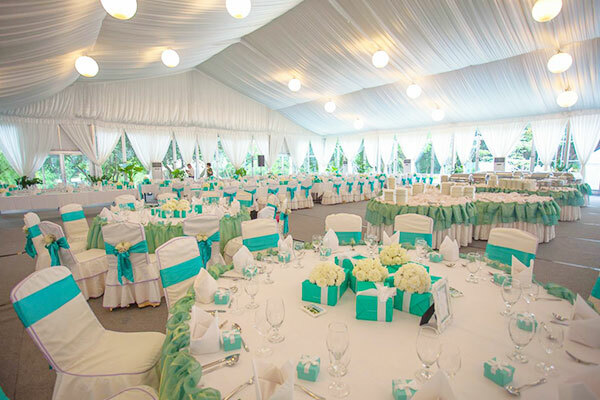 Holding tented wedding, doesn’t mean you’re limited on wedding décor. Apart from high quality tents, we also provide full set wedding accessories, including sidewalls with clear window, ground anchors, weight plate, glass wall system and ABS hard wall etc. You can decorate the wedding tent in the way you want. When I walked into the wedding tent, everything just looked so perfect. The floor, tables, walls and decorations, I could never forget this day of my life. When the sun comes down and the lights turn on, guests were dancing on the dance floor, beautiful scenery could be seen through the glass wall. I must say I love this wedding tent and thank you Liri Tent. I always wanted to have my wedding ceremony held outdoor, but one thing you can’t plan for is the weather. Thanks to the wedding tent LIRI provided, it helps me achieved my dreamed wedding. It’s so convenient that you could custom the size and the shape of wedding tent, it really saves a lot of trouble and made my wedding planed and held smoothly. I have to say bought a wedding tent from LIRI for my wedding is the best choice I ever made. The tent was totally high quality and all the accessories that’s needed were offered, I’m so appreciate it. 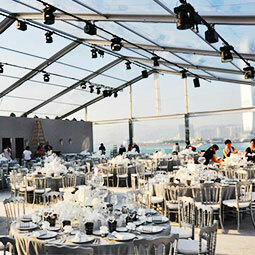 Liri Tent is the leading brand of tent in China and provides all kinds of wedding tents. Customized a wedding marquee according to different needs.